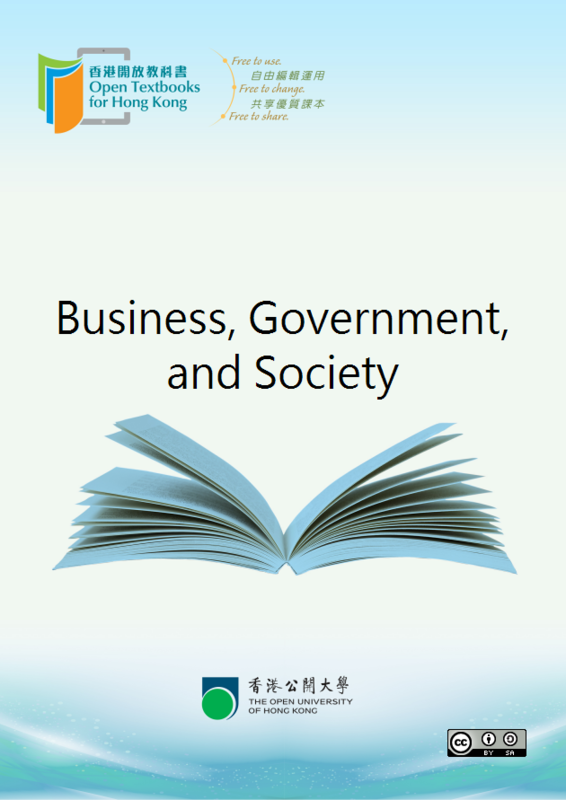 "Business, Government, and Society" is one of the free open textbooks in business discipline for Tertiary level. Feel free to use, adapt and modify the content to your own needs, and share the improved content with others because the book is offered under Creative Commons (CC) license. It allows users to repurpose the materials under the condition that original authors’ contribution is acknowledged. This selection and arrangement of content as a collection is copyrighted by William Frey. It is licensed under the Creative Commons Attribution 4.0 license (http://creativecommons.org/licenses/by/4.0/). Collection structure revised: August 26, 2008. What you are going to do. Exercise: In small groups, spell out the social contract between society and business.